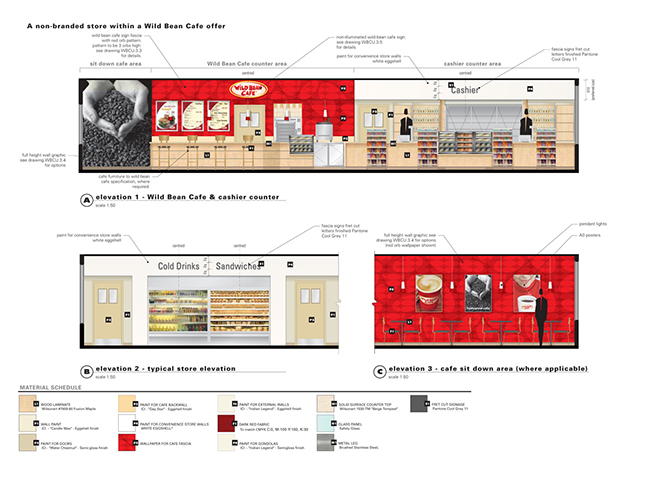 Since being appointed BP’s retained design consultancy for the UK and European markets, we have been asked to develop the company’s Wild Bean Cafe ‘food on the go’ offer, and manage incremental improvements across the whole network. 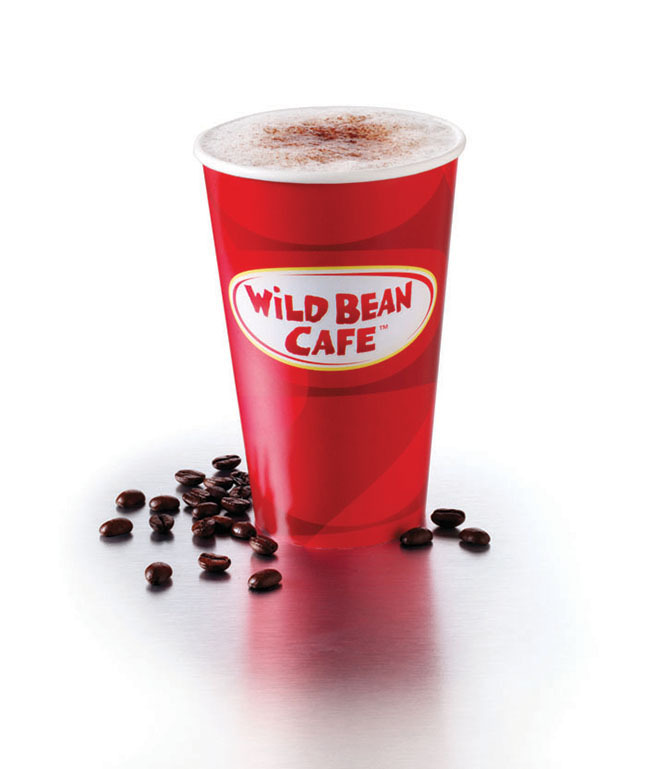 The Wild Bean Cafe brand was originally created to be a credible contender with other fast food branded outlets. The new category ‘food on the go’ was coined along with a new offer designed to appeal to drivers in need of quick refreshment while taking a break to refuel. Today Wild Bean Cafe is a trusted ‘food on the go’ brand, recognised for the quality of its products. 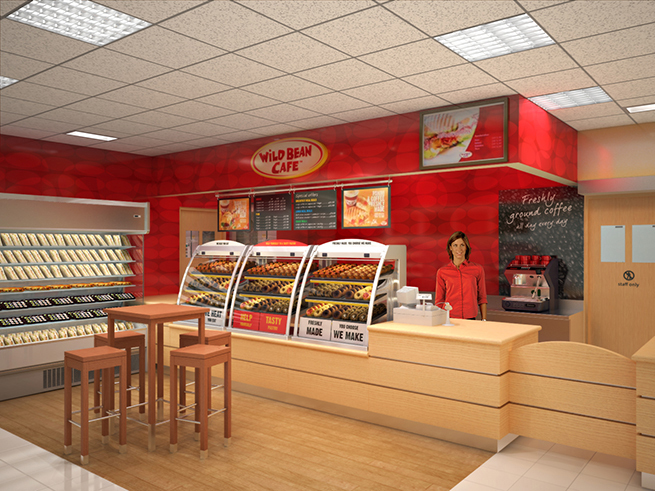 We believed the brand could stand alone (away from its usual location at BP petrol stations) and compete with other fast food offers by attracting customers familiar with the quality to expect at Wild Bean Café. The first of these new outlets was Wild Bean Cafe Unleashed at Portsmouth Harbour’s international ferry terminal where 1.9 million people pass through every year. 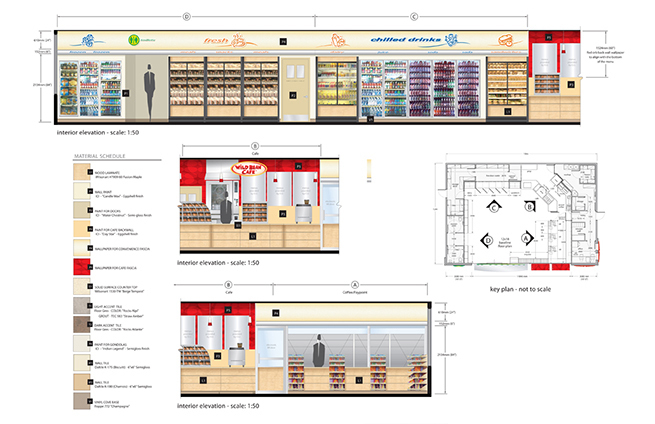 In addition to the usual food and coffee sales counter the site includes a small convenience store and a large seating area which extends into the public concourse. 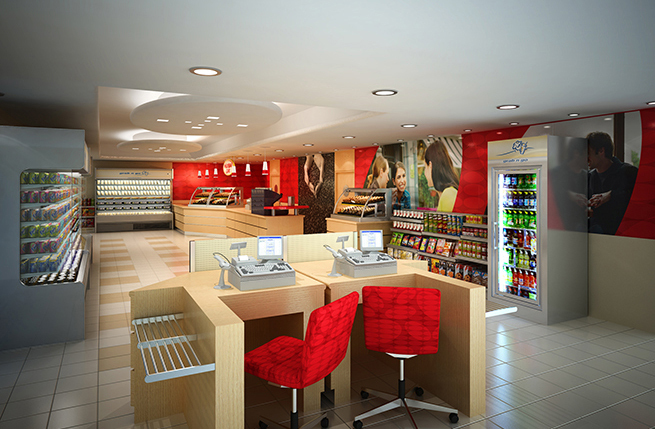 We provided concept designs, 3D visualisations, documentation and artwork. The interior design uses the Wild Bean Cafe colour palette, providing a neutral look for the shop and its signage, while the seating area features Wild Bean Cafe furniture, materials and graphics for a more branded look and feel. At BP’s Sunbury-on-Thames headquarters we adapted the Wild Bean Cafe concept for staff cafeterias, in different locations and with varying types of offer, to increase brand awareness among the company’s employees. Other standalone locations have been introduced, making Wild Bean Cafe a familiar sight at ports and travel terminals for motorists. We continue to manage updates and upgrades to these sites, making sure Wild Bean Cafe interiors remain fresh and welcoming.